adobongblog: How are you weathering through the Marmite shortage? How are you weathering through the Marmite shortage? When the Marmite shortage was publicised last month, New Zealand was abuzz with the grim prospect of facing the tough months ahead with no Marmite. 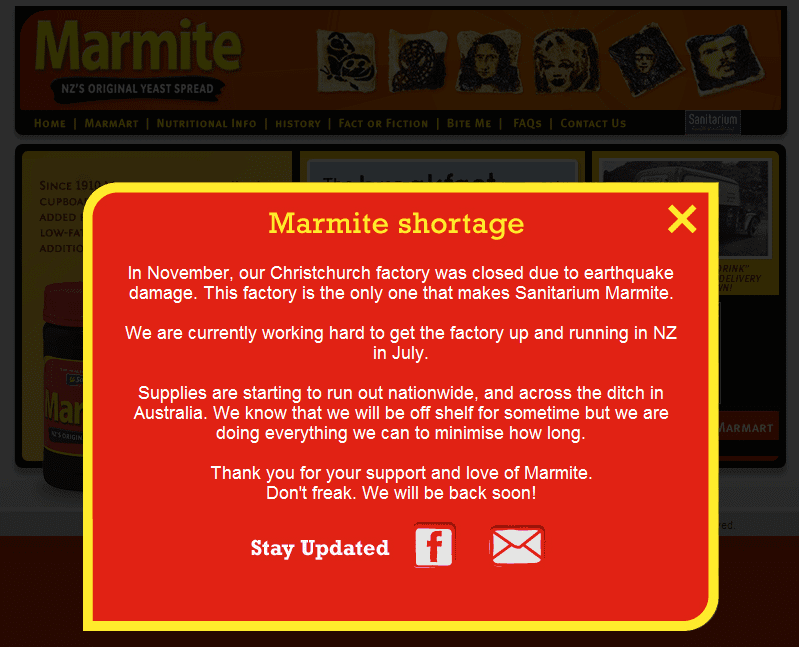 Faced with growing concern, the Marmite website had to post an announcement to allay fears. There's nowhere else quite like it (the reaction to the news I mean). In fact I could not think of a similar product that can make it to national news in case it goes missing in the Philippines. Some posters have been put up around town regarding the Marmite shortage. 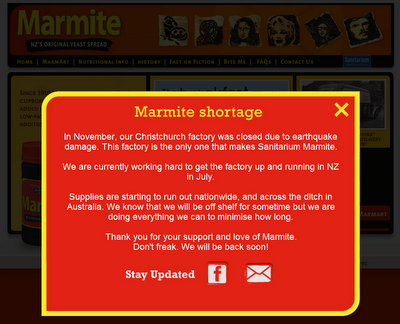 I hope, for the sake of the Marmite-loving Kiwis, that Marmite makes its way back to the store shelves soon.